Finally Learn How To Remove Pet Odor Fast! Learning how to remove pet odor from our living areas isn’t that hard, if you know the right technology to use against it. 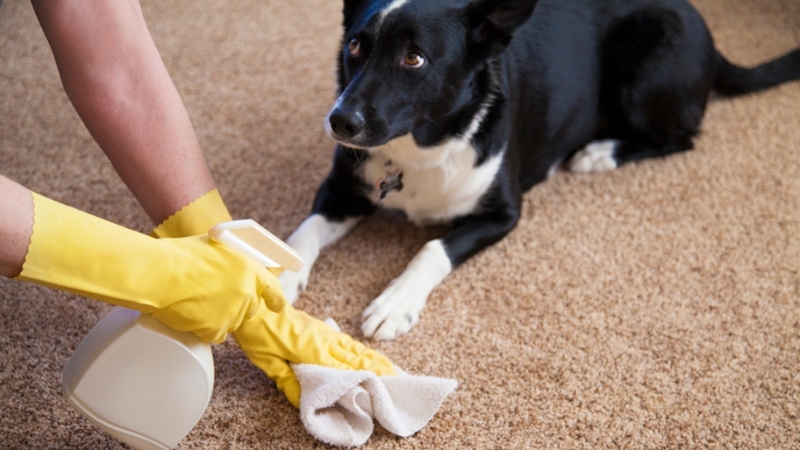 Removing pet urine odor is perhaps one of the lingering odors in our homes we pet owners must deal with all the time. We clean, wipe, mop and disinfect and still we can smell it. It especially becomes noticeable when the spring temperatures start to rise and our homes indoor air begins to get stagnant. Whew! What is a pet owner supposed to do? Well, years ago I tried an Alpine Living Air purifier in my home. And when I got feed back from my family, neighbors and friends on my clean fresh new smelling home I used it on three apartment make ready jobs with severe pet odor inside them. The property managers were furious that the last tenants left them this problem. What seemed to be a massive wipe down, clean, and disinfect along with total carpet and padding replacement Was Not the case with these three apartments …thanks to Alpine’s ionization and ozone action. The apartments were cleaned, the carpets were cleaned and after three days with the windows open the odor was winning until I left the Alpine air purifier running for three days. It killed and purified the air, walls, ceiling and carpeting. When we walked inside all we smelled was mountain fresh air. The property managers were smiling big because my pet odor removal had saved them at least a thousand dollars in carpet and pad replacement and deodorizers. If you know anyone with odor problems of any kind share this article with them. The alpine air cleaning products are my secret weapon for combating the worse odors one could encounter. Also sign up to be registered to Win an ‘Alpine Living Air 3500’ purifier on this page here. A winner each month! Visit, register and bookmark the page to share with others. This is exactly what I need. A good quality air purifier! We have several cats that are getting on in age and they are starting to miss the litter box which is a common problem with senior cats. We have tried OxiClean and baking soda but, there is still some smell in the carpets. I never thought that an air purifier could eliminate the pungent odor until I read your article on getting rid of pet stench using the Alpine Living Air Purifier. It helped to find out that ionization and ozone action were key to the success! And, I see that the Alpine Purifier is quite a bit cheaper than many of the other purifiers on the market. I do have one question: What is the warranty?